You’re going to like what I have to share today. I can just feel it! I came across this great site as I was again looking for eating disorder recovery ideas and inspiration for my bulimia blog. This one is H-O-T! The mission of Operation Beautiful is to post anonymous notes in public places for other people to find. The point is that WE ARE ALL BEAUTIFUL. You are enough… just the way you are! When I found this site I was like…whoever came up with this is brilliant! Second thought was “why didn’t I come up with that?” Ha ha. I began Operation Beautiful by leaving positive messages on the mirrors of public restrooms — at work, at the gym, at the grocery store. You’ll find on her website that she’s received over 10,000 submissions already and was even interviewed by the Oprah show. She’s living her mission and inspiring others along the way. That resonates with the overcoming bulimia post I did last week about real happiness or eudaimonic happiness. If you’re as inspired as I was by this website I hope you’ll take action this week and submit a picture to Operation Beautiful. Be sure to write yourself a note on your bathroom mirror that you’ll see each day. Help for bulimia recovery starts with you and this is both a loving reminder to stay the course and a tremendous act of self-love. Please share your feedback below if you’re familiar with Operation Beautiful or if it’s inspired you, what are you going to do about it? 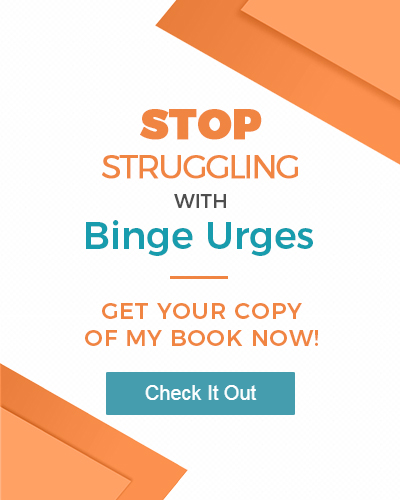 If you’re looking for bulimia support, please be sure to check out my eating disorder recovery website for more great self-help ideas such as meditation, hypnosis, and using the law of attraction.